It is one of those games. Grim Facade: Mystery of Venice is one of those games that have it all together. 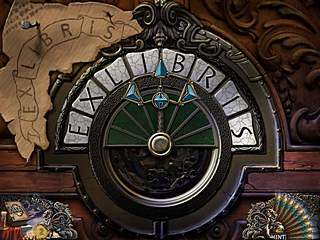 There is a story to tell, lots of items to interact with, even more to find, and also puzzles along the way. You will do a lot of interaction with the items here. The game's way of telling you the story is quite tricky. Games developers finally learned that there is no need to give it all away right at the start. So here, you see how two ladies disappear. Then you meet their husband and father asking you to find them. That's about it storywise. That's when you start playing and finding out more and more about this villain and what's going on. And there is a story behind this. So it's kind of nice to dig out more and more details to it. You will do a lot of interaction with the items here. You will have to go from one location ot another and then back to grab all you can in order to get farther and to catch this mysterious kidnapper. 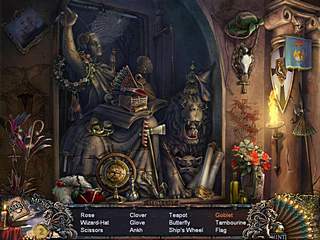 Apart from interaction you will also come across a number of hidden object scenes and puzzles. Those follow the familiar path having you to find all of the items on the list. Some of them take you to perform some other action before you can get what you need. The puzzles are fun and give a nice break from all the searches. Some of them look really fresh. The game's audio-visual presentation is very polished. The dialogues are voiced and some parts of the story-telling part are animated. The game has everything to keep you interested for a few hours. 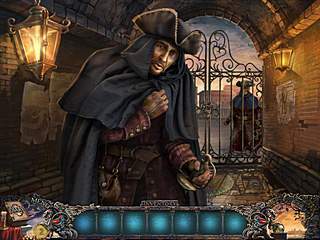 This is Grim Facade: Mystery of Venice review. Download this game here.